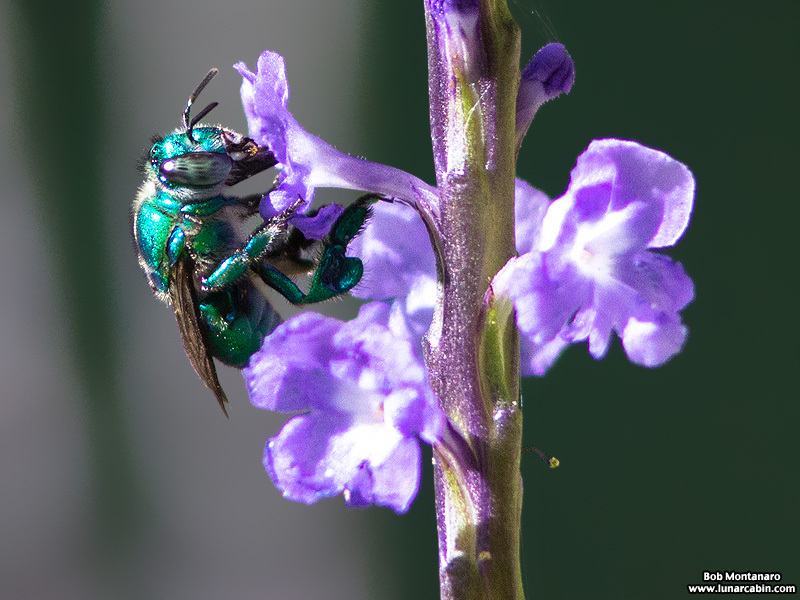 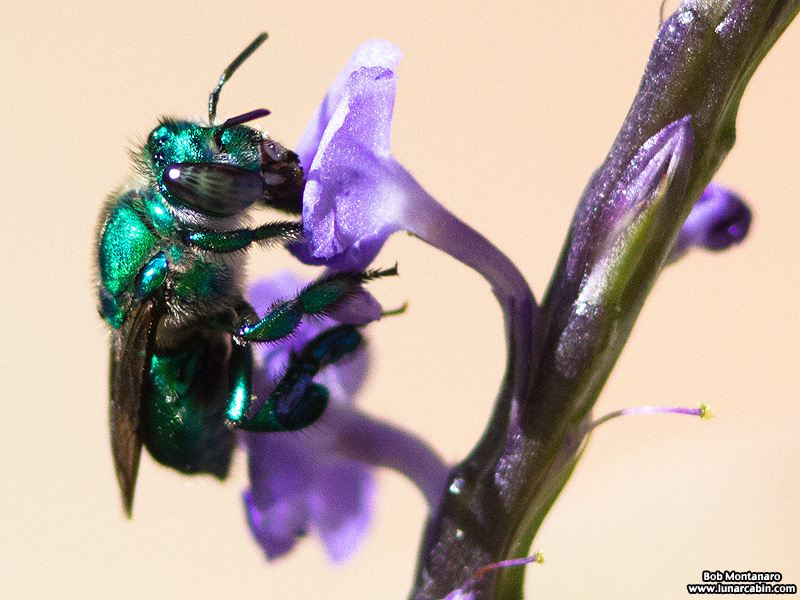 A Green Orchid Bee with its dazzling metallic sheen is one of the many insect species attracted to the pollinator garden at Pelican Island Audubon House located at the Oslo Riverfront Conservation Area (ORCA) in Indian River County, Florida. 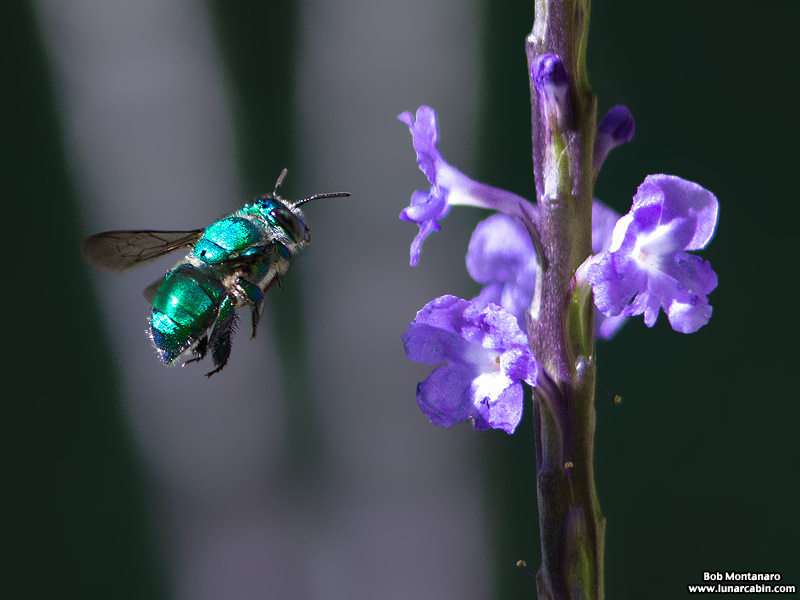 This is a male orchid bee, which, unlike the female, has an enlarged hind tibia. 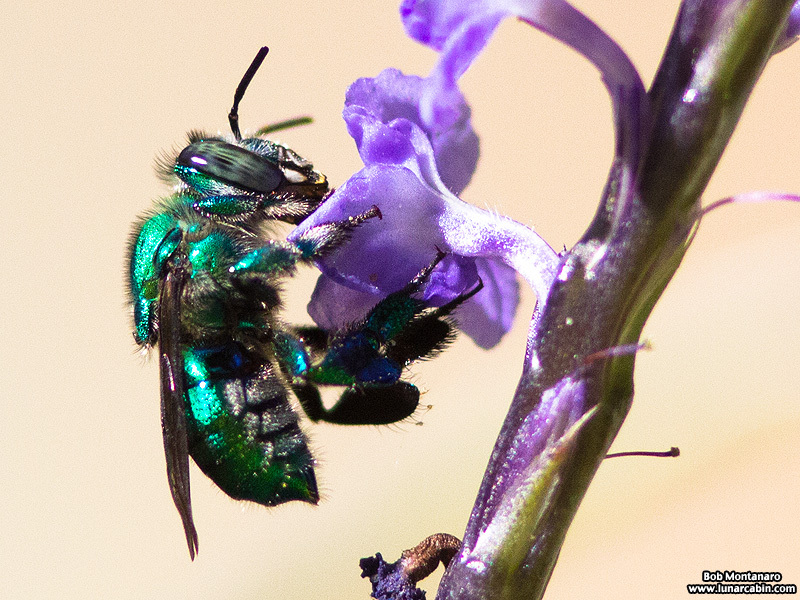 The tibia contains a pouch that the male bee uses to collect and store different fragrant compounds from the environment. 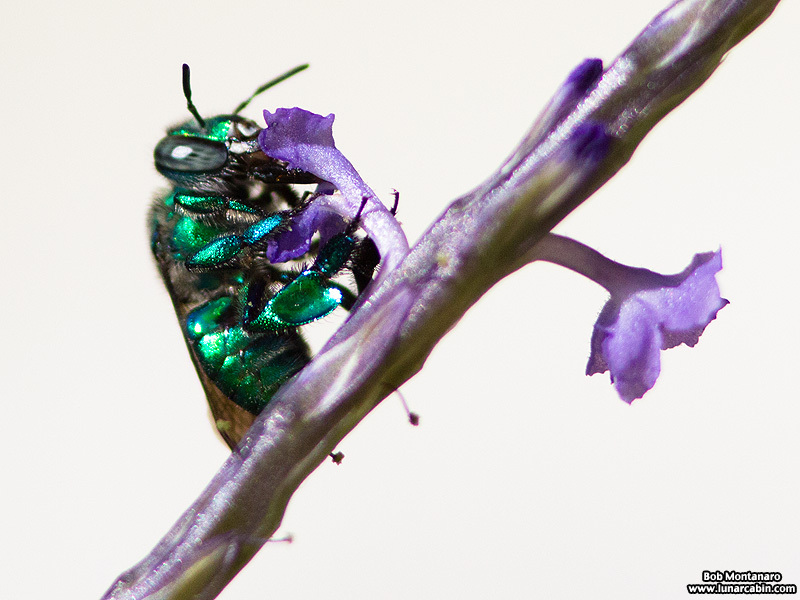 It is thought these fragrant scents are then presented to prospective females as an attractant. 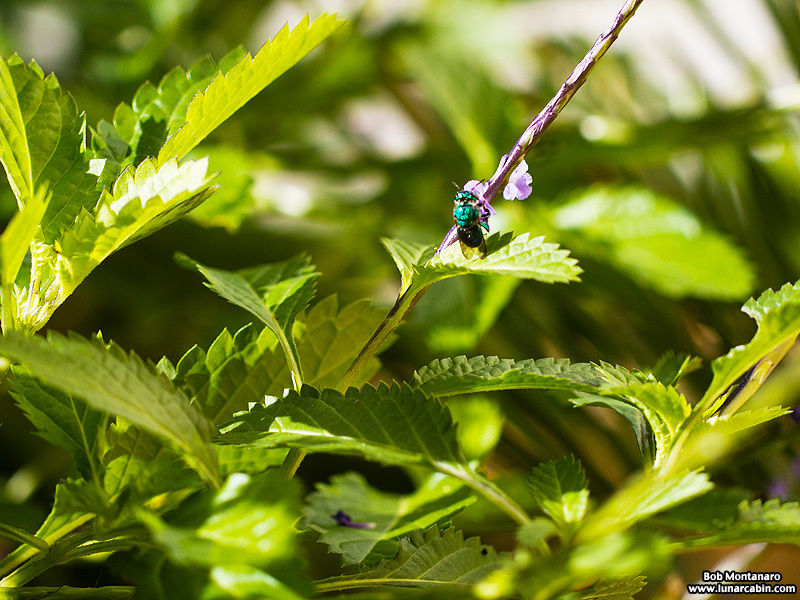 A Euglossa dilemma almost lost amidst the foliage.